The roller coaster ride that is the US economy will be seeing more twists and turns this coming week. Last week, mortgage rates and treasury bonds experienced the lowest point last Wednesday, but picked up a few notches on Thursday and Friday. The low point came as a reaction to Standard and Poor’s change of rating. More volatility is expected this week and rate shoppers are just going to have to roll with the ride. 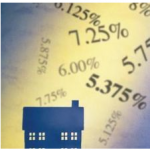 Mortgage rates are trending lower these past few weeks however, it has been noted to have its spikes especially when outside forces such as the Federal Reserve or the U.S. Government steps in. In the meantime, mortgage rate shoppers and interested real estate investors can have an early holiday with discounted rates much like Christmas sales. All rates are for 30 year fixed mortgages. The national average is 4.46%, so all rates presented above are below the average rates. Not all banks and rates are available in all states. Availability can be checked online. Although an economic turmoil generally spell bad news, this could also be a good time to buy investments such as stocks, and of course, real estate. Take advantage of these low rates while they’re still around. The United States is at another economic downfall as reports on consumer spending have revealed low numbers. As we well know, when the economy goes down, so does everything else, including the housing market. Since real estate prices are dipping again, then that also means mortgage rates are also falling. This could be a good opportunity for refinancing, or even for getting a new mortgage for savvy real estate investors and home buyers. The national average for mortgage rates as of today is 4.54% on a 30 year fixed mortgage. The question is, where can we go to get a rate like that, or even lower? Below are the top 10 banks with rate just below the national average. 1. Quicken Loans – Although known for their good mortgage rates and fast service, Quicken Loans gave out a rate just a little lower than the national average. Their 30 year fixed mortgage rate is currently at 4.538%, with APR fees at $1,843 and estimated cost of $2,108. 2. Citizens Financial Bank – Just a few points below the national average, Citizens Financial Bank offers a 4.537% mortgage rate. Fees in APR is $1,800 and estimated cost is around $2,108. 3. First Savings Bank of Hegewisch – This bank offers a rate notches lower than the average with a 4.507% rate, fees in APR of a low $325, and estimated payment of about $2,108. 5. AhcLending.com – One of the good things about this lender is their live rates. What you see is what you get. Ahclending is giving out a low 4.290% mortgage rate. Fees in APR is $1,995, and estimated payment is $2,046. 6. Amerisave – Also known for its easygoing mortgage rates, Amerisave does it again with a 4.290% APR. Fees in APR is $1,995, and estimated payment is $2,046. Amerisave is also one of the trusted lenders with billions already funded. 7. Interbank Mortgage Company – Giving out a good rate of 4.260%, Interbank also has lesser fees in APR with only $499. Estimated payment is $2,046. 8. American Interbanc.Com – Boasting a low APR of 4.250%, American Interbanc.com has mortgage rates way below the national average. Plus there are $0 fees in APR. This institution was also named as the “most honest lender” by America’s Watchdog. 9. Seckel Capital – Another lender that gives the rate of 4.250% is Seckel Capital. Once again, fees in APR are $0, and the estimated payment is $2,046. Quotes are available online. 10. Aimloan.com – Aimloan is slowly being known for its ability to continuously provide good rates for lenders. One reason for this is because of low transaction fees since everything is done online. Aimloan gives the lowest mortgage rate of 4.164% APR. Fees in APR however are $1,950, and the estimated payment is $2,016. 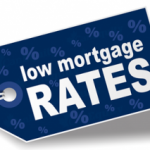 August 2011 Mortgage Rates – Going Down! And we thought the worst was over. It looks like housing officials made the wrong call last month when they said that the economy wasn’t going to start dipping again. Now, economic data has shown that the economy is indeed getting weaker, and it seems that the “R” word (or recession), is going to proliferate again. From the looks of it, the forecast of the remainder of 2011 is barely seeing any positive growth. The bad economic data continues as the monthly personal consumption and expenditures report was released. This showed a significant drop in consumer spending as compared to last year. Since 70% of the economy is based on consumer spending, any drop could mean ill fate to the economy. Despite the low points that the economy is facing, there is an upside to this though. Home purchasers and refinancers can still enjoy low mortgage rates as they are still faced with some risks regarding the real estate market. Investors in the mortgage-backed securities market, who determine the interest rates of mortgages, can focus on this economic weakness by purchasing “safer” investments. Last month’s mortgage rates showed a 4.79% interest rate on a 30 year fixed mortgage. Today, the average rate for 30 year fixed mortgages is only at 3.750%. That shows a significant drop that analysts were not expecting. 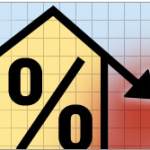 Other rates follow suit as 15 year mortgages go down from 3.90% to 3.500%. Although this isn’t as big a drop as the 30 year fixed mortgage, the trend remains the same. Even adjustable rate mortgages are not getting any higher, with a low rate of 2.990% today, as compared to last month’s high rate of 3.490%. Indeed, real estate investors who know how to wait out a market can expect to get better deals this time of year. It’s important to remember that although predictions are based on statistics and factual data, they are still predictions and it could be possible to see a rise in the economy again next month. While the rates are low, maybe now is as good a time as any, to invest.